We have worked with thousands of small businesses over the past decade and one of the most important pieces of the business success puzzle is credit. When a business is young, it will rely heavily on the owner/shareholder’s credit but don’t let the opportunity pass you up to establish business credit as you go. Establish business credit cards – even if you have to make a personal guarantee – and make sure you are establishing with companies that regularly report to the credit agencies. Be vigilant about asking for credit line increases every 6 months or so and never pay late. 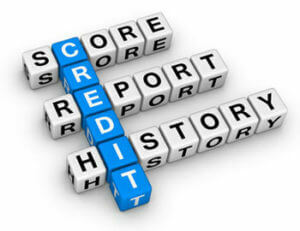 Dunn & Bradstreet is a well-known business credit monitoring and reporting agency. Set-up a profile for your business with D&B and monitor your credit relationships closely. You can even ask companies that you frequently buy from on credit to give you a trade reference on D&B. Finally, establish a relationship with a business bank. I recommend one of the national banks like Chase, Bank of America, or Wells Fargo because they will readily extend business lines of credit to clients that have kept funds on deposit for 5+ years and have an excellent payment record on their accounts. A business credit card or other revolving credit account from one of these institutions will put you in the perfect position to get the big equipment loan or commercial mortgage you will want when you grow your enterprise from small to midsize. One of the reasons it is so difficult for businesses to move from that 1 – 5 to the 6 – 20 million in revenue range is the lack of credit. It takes money to make money and the big businesses get that way because they know how to responsibly leverage debt to build their business. Complete Controller is the Nation’s Leader in virtual accounting, providing services to businesses and households alike. Utilizing Complete Controller’s technology, clients gain access to a cloud-hosted desktop where their entire team and tax accountant may access the QuickBooks file and critical financial documents in an efficient and secure environment. Complete Controller’s team of US based accounting professionals are certified QuickBooksTM ProAdvisor’s providing bookkeeping and controller services including training, full or partial-service bookkeeping, cash-flow management, budgeting and forecasting, vendor and receivables management, process and controls advisement, and customized reporting. Offering flat rate pricing, Complete Controller is the most cost effective expert accounting solution for business, family office, trusts, and households of any size or complexity.